Wine of Mendoza, Argentina. A bright crimson red whose plum and raspberry aromas mingle elegantly with vanilla notes from the 6 months aged in French oak barrels. 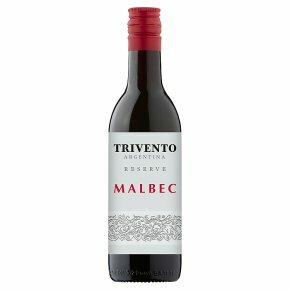 Well balanced, with sweet tannins and a velvety finish, Trivento Reserve Malbec is ideal with meats and tomato dishes.